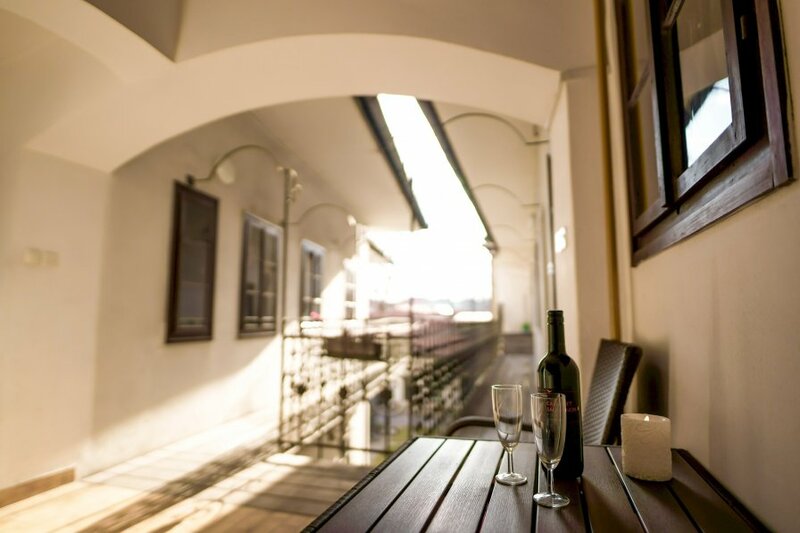 Welcome to this lovely little apartment located in Ljubljana's Old Town Center pedestrian zone, just under one of the biggest attractions - Ljubljana castle. The location is just perfect because it is in the walking pedestrian zone in the historically protected old town, where you can reach everything by foot - bars, restaurants, nightlife, shops, tourist attractions and so on. The apartment has a cozy bedroom with a comfortable double bed and a TV that you can watch comfortably installed in bed. There is also a modern bathroom with a mix of new age and vintage design. In the kitchen you will be able to find everything you need - a kettle for hot tea in the morning, a microwave, stove, fridge, cuttleries, pans, pots, glasses, and a Jezva - a traditional pot from the Balkans to cook the coffee in in an authentic way.